Social media should make up an important part of your overall online digital strategy. No matter the type of business you run or the industry you operate in, at least a portion of your target audience will be on social media. With so many active users these days, you would be silly to ignore social media. The trick is to do your research and find the best social platforms that best target your desired audience. There are certainly a lot of different social media platforms to choose from – and social media can even boost your SEO! If you come to the conclusion that LinkedIn should be the platform that you focus on, then you are probably wondering just how SEO and LinkedIn can work together. Well, LinkedIn is one of the most popular platforms for B2B businesses. So, if you can optimise your profile properly, you have the potential to grow. Just like when optimising your website, you need to think about optimising your LinkedIn profile for certain keywords. So instead of just simply rushing in, you will need to take a step back and think about what the user’s intent will be on this platform. As well as this, make sure you don’t over cook your keyword use. Keyword stuffing is not user friendly and people these days are becoming very good at picking up on it. So, have a think about where the best places to include your keywords are. Don’t just sit back and wait for people to come to you. It is important that you reach out to others and share your opinions, etc. You are an expert in your area, so be sure to go out and demonstrate your knowledge online with LinkedIn. If you don’t interact or engage, it is quite likely that your profile will become quite stale and eventually very difficult to find. By commenting, posting and liking you are working towards improving your exposure. This point follows on reasonably well with the above one. To help your interaction and engagement, it is vital that you make regular posts to your LinkedIn profile. It is a good idea to publish posts that include links back to your website, as this helps to improve your backlink profile. Have a think about what users actually want to know the answer to. If your post doesn’t answer a burning question a user has, it probably won’t be too engaging and you are essentially wasting your time by publishing posts. LinkedIn provides a lot of different opportunities to add in details about your business, you should take them! Be sure to fill out as much information as you can, as well as checking back and reviewing content if any of your business details change over time. When filling out the information, it is important that you be as descriptive as you can possibly be, while also thinking about the right keywords you should be including. Be descriptive, but don’t waffle on for the sake of it, that isn’t engaging and could cause users to navigate away from your LinkedIn page. As well as actual content, you should also be looking to include images. For your main image, you should have your business’s logo. Other images can include that of your office/ workspace and a picture of all your employees. Be sure to properly optimise these images (i.e. include alt text etc.) so Google understands. One of the great things about LinkedIn is that there are a lot of like minded people on the social media platform that you can connect with and be a part of the same group. This is a great way to improve your overall engagement and networking on the site. By joining the right type of groups you are making yourself a lot more visible to the right type of people. There is very little down side to joining a group on LinkedIn, so it is highly recommended that you do. Don’t just stick to the realm of LinkedIn, branch out to other areas and encourage users to connect with your business on this social platform. It is a good idea to put up a link to your profile on your website, this way it helps your backlink profile for your LinkedIn and helps to impact the profile’s ranking. 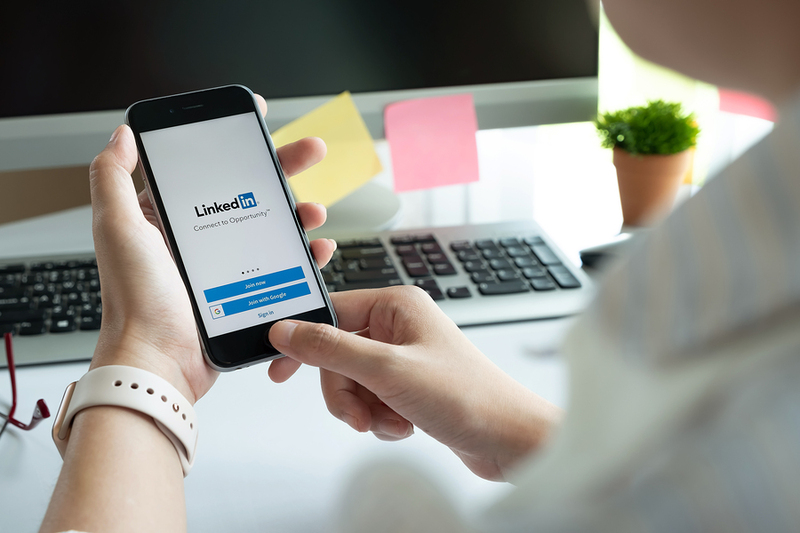 Even on your other social media sites, it is a good idea to let people know that you are also on LinkedIn and users have the ability to connect with you there. Do everything you can to spread the knowledge that you have a LinkedIn account.